As the cosmetics industry developed, the makeup aisle at the local pharmacy was the first stop for most women; bypassing higher-end cosmetics counters at department stores and opting for the affordable and variety offered by pharmacies. Pharmacies met this demand by not just having makeup, but also to include variety of products, and changed to being the all-inclusive beauty aisle. Today the beauty industry is part of a broader cultural theme and is now indicative of certain lifestyle. Women typically will shop for their beauty products at the pharmacy or cosmetics counter. 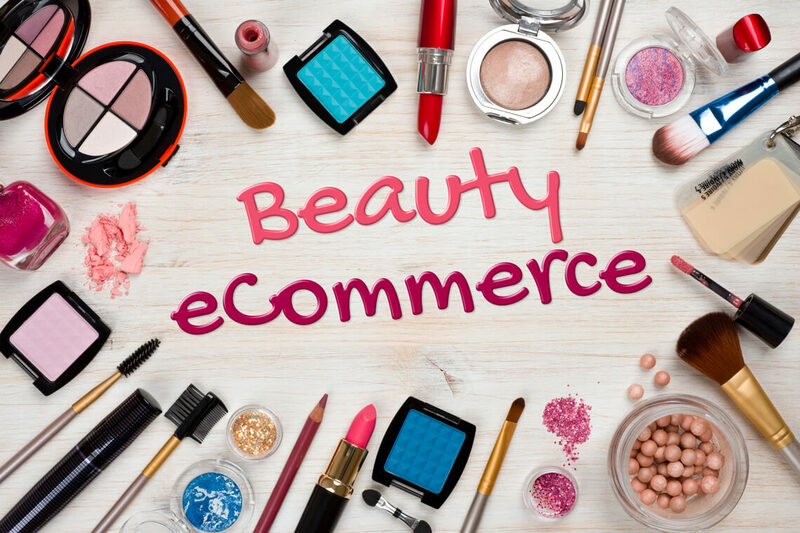 However, eCommerce has also created a change in the habits of women where nearly 8% of beauty products are being purchased online according to eMarketer. The top online beauty retailers are Amazon.com, Walmart.com, and Sephora.com. Beauty companies are providing a different user experience for the beauty product consumer online, by making every aspect of the shopping experience an interactive one and simultaneously promoting user engagement; they achieve this by including how to videos, peer reviews, and beauty information. This new beauty culture has given way to influencers (Internet Celebrities) who have emerged from social media sites; dominating Instagram and YouTube, and amassing extraordinarily large followings. Companies are now turning to influencers to promote products to a wider audience. The influencers who are selling these products online, according to eMarketer, have become full-fledged media conglomerates. Advertising content for the beauty industry influences women to buy products that they believe will improve their overall appearance and boost self-esteem according to societal messages and standards. The eCommerce industry has had huge hurdles to overcome because products have to do with harmonizing to a particular customer’s style or skin tone. Editing and color manipulation of photographs makes it hard for the consumer to completely trust the products according to their look. Beauty influencers on social network sites have influenced the purchasing of products through their extensive followings of consumers who trust their beauty choices and recommendations. Furthermore, making choices for beauty products not in the store does not get the consumer to try out the product to see how effective the product can be. When purchasing products online the consumer may have expectations of the product that would have been confirmed when purchasing in person. 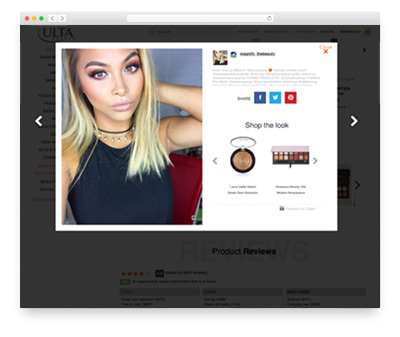 Ulta.com… is modeling the traditional beauty magazine, by using branded features and also before and after photos to show how a consumer can use the product. Sephora.com, one of the leading online sellers of beauty products, is using user generated and branded content to sell their products. They aim to use images and content to make a more humanistic approach to purchasing a product. The company sometimes uses Instagram photos of different clients wearing the product in order to show how versatile the product can be on different consumers. Ulta.com, another leading seller of beauty products online, is modeling the traditional beauty magazine, by using branded features and also before and after photos to show how a consumer can use the product. Images of the companies will have links to branded content that will give direct product detail to sway individuals who are unsure of their purchase. 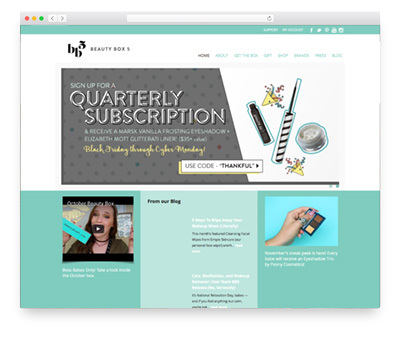 Beautybox5.com … is using personalized data in order to provide the consumer five full sized products and another five beauty samples in a box that arrives monthly. Another unique company that is making waves in the eCommerce market is Beautybox5.com. This company is using personalized data in order to provide the consumer five full sized products and another five beauty samples in a box that arrives monthly. The concept of this company is that women have an endless variety when it comes to beauty products that they have a hard time making decisions on what products works for them. This allows the customer to try products and make future decisions of incorporating this product to their daily routine. The eCommerce industry continues to penetrate all facets of the market and is making unique choices in branding and marketing in order to reach an audience. Gaining the customer’s faith and value in a product is the key to completing transactions in online shopping. Whether it’s a lipstick or a new lotion, the consumer must have an experience when shopping for any product online. Creating a web design and the appropriate content to give the user that experience is vital to the success of lesser known brands that don’t have an established reputation.